Attila is a popular masculine name in both Hungary and Turkey. Another version of Attila in Hungary is Etele, the female equivalent of which is Etelka. Other versions of Attila used in Turkey are Atilla and simply Atila. It has been traditionally claimed that the name Attila is formed from Gothic atta, meaning "father", through the diminutive suffix -ila, the "little father". Related names are not uncommon among Germanic peoples of the period, i. e. Ætla, Bishop of Dorchester. The Gothic etymology was made up by Jacob Grimm and Wilhelm Grimm in the early 19th century.Tom Shippey argued that the Gothic etymology is a product of 19th century Germanic romantic philological revisionism. Otto Maenchen-Helfen, who considered Gothic etymology, noted that Hunnic names were "not the true names of the Hun princes and lords. What we have are Hunnic names in Germanic dress, modified to fit the Gothic tongue, or popular Gothic etymologies, or both". Hyun Jin Kim noted Attila has more natural and probable Turkic etymology.Omeljan Pritsak considered ̕Άττίλα (Atilla) a composite title-name which derived from Turkic *es (great, old), and *t il (sea, ocean), and the suffix /a/. The stressed back syllabic til assimilated the front member es, so it became *as. It is a nominative, in form of attíl- (< *etsíl < *es tíl) with the meaning "the oceanic, universal ruler".Peter Golden, citing Pritsak, like László Rásonyi connected Attila's name with Menander note in which used term Attilan as the name of the Volga River (Turkic Atil/Itil; "great river").J.J. Mikkola connected it with Turkic āt (name, fame). 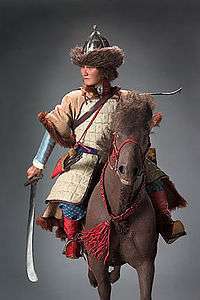 Gerd Althoff considered it was related to Turkish atli (horseman, cavalier), or Turkish at (horse) and dil (tongue). 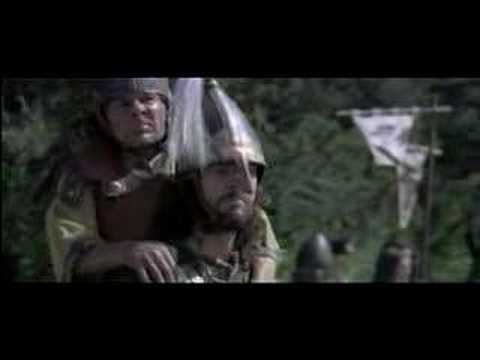 Attila was a king of the Huns in the 5th century.